The trailer for Rick and Morty season 4 has arrived. The new series isn't due until 2019, but hype. And also solenya. 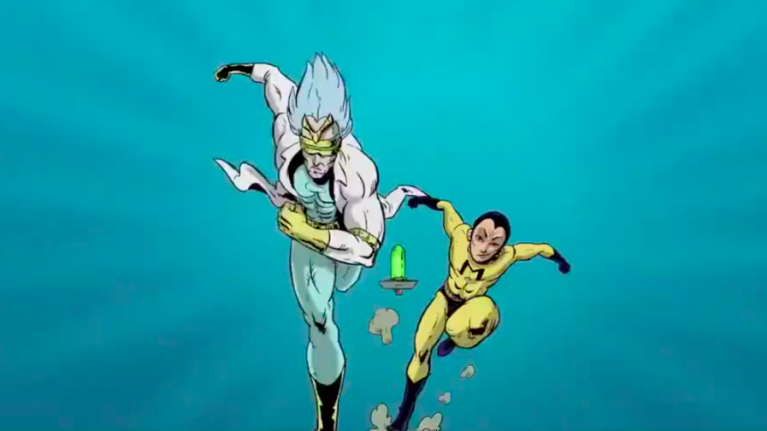 Rick and Morty are cast vaguely as superheroes. Rick, in a rough tribute to X-Men's Cyclops, vibes with some kind of portal gun energy bazooka while Morty pays tribute to Armothy, from the Blood Dome in season 3's Rickmancing the Stone. Summer, Squanchy and Beth also appear. If the creators of the show are anything to go by, which to be fair they often aren't, fans can get used to a lot more pickle-based tomfoolery. Just draw it already lads.